After sales of the Nintendo Wii slumped drastically in Japan, the undisputed home of video games, Microsoft has announced that sales of its own console are stronger than ever. It released figures saying that it sold 294,000 Xbox 360 consoles in January alone - that's around 18 per cent more than in January 2006. 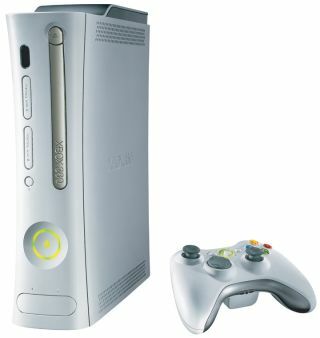 The Xbox 360 was released in November 2005, a full year before the launch of the Sony Playstation 3. Sales have been fairly steady ever since, and the latest figures show encouraging growth despite fierce competition from the other two heavyweight consoles. Microsoft's Entertainment Group boss Molly O'Donnell unveiled these preliminary market figures: "Xbox 360 had a fantastic journey in January, and we feel great about our position in the marketplace," said O'Donnell. Yesterday we reported that Nintendo's Wii games console had been hit by a massive sales drop from launch - that's according to our sister site Computer and Videogames . PlayStation 3 sales have been lagging behind the Wii's up until now, due to lack of availability, lack of games and an inflated price tag.